To say that I was excited when I read the email that The Body Shop had expanded their Banana range is a little bit of an understatement and there may have been a few excited squeals *don’t judge me*. Banana done well is one of my favourite smells. For me I want full on bananatastic knock your socks off, want to eat it kind of banana. The range has expanded from just haircare to now include Body Butter, Body Yoghurt and Shower Cream. The packaging is cooky, fun and summery and all the products use community trade banana puree, and the Body Butter, Shower Cream and Body Yoghurt are 100% Vegan. The prices aren’t too shabby the only thing I would say is the Body Butters seems far more expensive than I remember sitting at £15.00 for a 200ml tub. Wanting to try all things new I decided on the Banana Pop Treats Pouch which included these delightfully bright yellow minis as well as the banana pouch which makes me smile every time I look at it. I have been using these for the a little over 2 weeks and above all they smell incredible. The Body Butter is by far the most intense both in the tub as well as when rubbed into the skin. Although I love the Body Yoghurts ability to sink in in the quickest of flashes it didn’t smell as bananary as the Body Butter. The shower gel, well that is wonderful. To be fair The Body Shop know how to nail shower gels and this is no exception. Lathers up a beaut, you don’t need too much, albeit I am guilty of using far more than I need, and the fragrance, although sweeter, is on point and lingers on the skin after you’ve had a shower. The shampoo and conditioner was the one I was most dubious in trying as I have heard mixed reviews. Going in with an open mind I was pleasantly surprised. Catering for those of us who have dry hair, this duo is made without silicones, is 100% vegetarian and is enriched with Community Trade organic banana puree. My hair felt lovely and soft after using and there was not the usual battle I have with brushing my wet hair, the brush literally went straight through. The banana fragrance is sadly hard to detect once dry, which was disappointing, however my hair did feel far more nourished and shiny. It’s a great time to be alive guys and gals. I am very much converted to this new range, it smells incredible, its fun and summery and above all I loved each product. 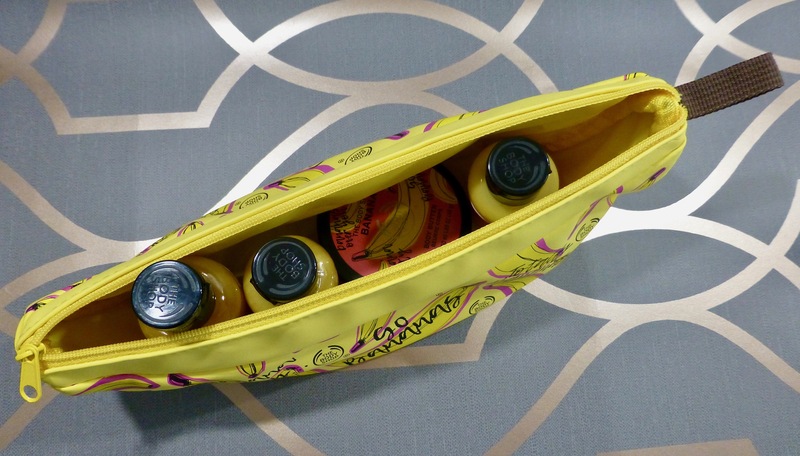 Of course this is a limited edition range for summer, I am hoping they will make it a permanent feature or at the very least give us a heads up so us banana fans can have a chance to stock up. 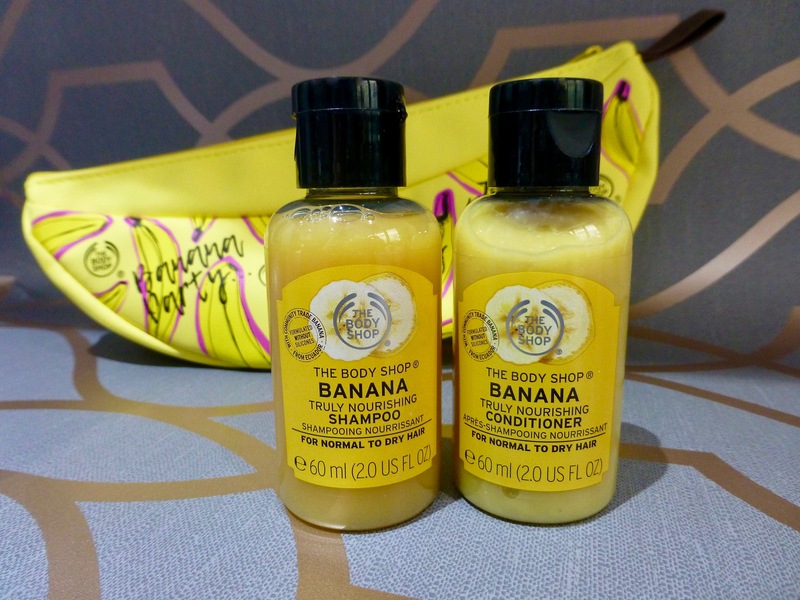 Have you tried The Body Shop Banana range? What is your go to from there? Oh, it’s a long time since a launch has excited me- this one has and I am planning how to get to the nearest Body Shop ASAP!